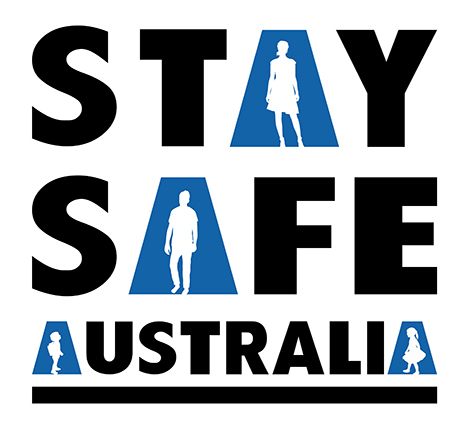 STAY SAFE Schools Self Defence Programs provide the opportunity for children and teens to explore a range of simple yet practical skills that improve the ability to effectively resist unsafe, threatening or assaultive behavior, such as harassment, bullying, physical and sexually abusive situations. We currently have up to 60 schools per year utilising our services, with up to 10,000 students attending our programs in both Primary and Secondary Schools and Colleges working to the Curriculum. The sessions cover content that is specific to the dangers of the age and gender of the group, we tailor our programs to suit your students and what they may be currently facing and to prepare them for what could possibly lie ahead. The programs contain both physical and non physical components and depending on the group, we can include stress management and healthy habit elements. We offer both single session programs and term long programs both small groups to much larger groups. Our instructors are all highly qualified, caring, committed professionals, M.A.I.A. & Government accredited and skilled in risk management. Stage 4 – Physical Activity, Bullying and Harassment, Bullying, Protective Strategies, Relationship Dangers, etc. The principle outcomes of the personal safety sessions is that students feel more positive about what they ‘can do’, gaining appropriate and empowering verbal and physical skills to respond positively to potentially violent and dangerous situations. The skills gained reduce the possibility of a student either passively accepting or conversely reacting in an overly negative violent manner to threatening or intimidating behavior. Fear / crisis management skills so students become empowered and more positive in uncertain situations with better decision making skills to find an escape plan if required. Use of a range of safety strategies that reduce confusion and fear. Ability to respond effectively to feeling uncomfortable or at risk through the use of verbal and physical skills. Positive change in the attitude and behavior of students. 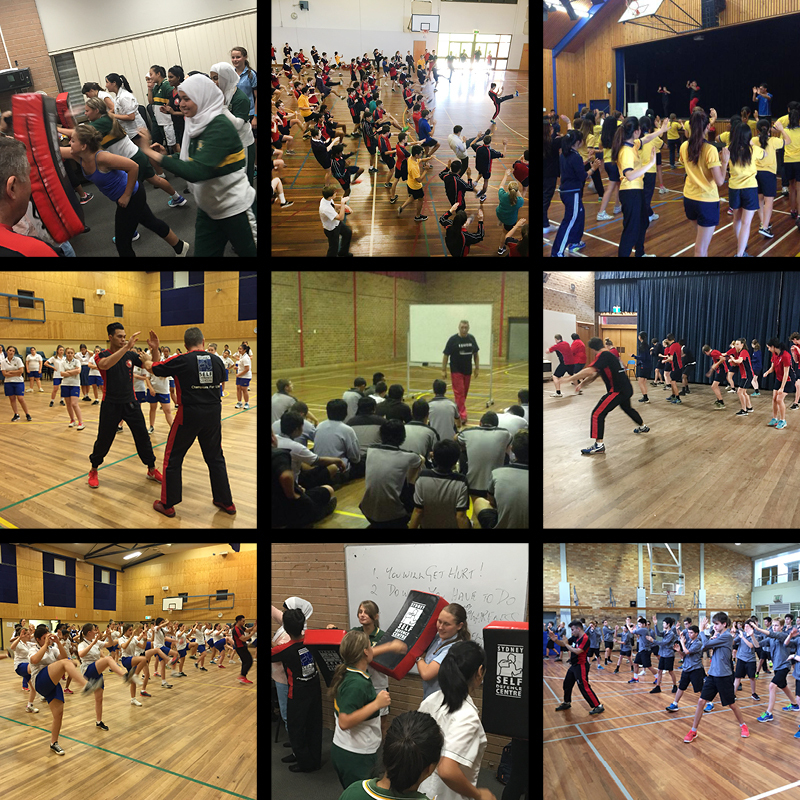 Sydney Self Defence can satisfy PDHPE and Board of Education needs, Cross Roads, Life in the Balance, Pastoral Care, Sports and Leadership Camps, Links to Learning and Health and Development days. Our wealth of experience at teaching Community Level Programs assists in our depth of knowledge and passion for assisting teens to make great and safer decisions. We are involved with Youth at Risk, Youth off the Streets, Sister to Sister, YO YO, Life Changing Experiences, Brighter Futures, After the Storm, Survivors of Domestic Violence as well as Help Back programs. Chris Futcher-Coles is an active White Ribbon Ambassador. So many schools and Colleges use our services differently. Please contact us and ask how we can best serve your specific needs. “The Self Defence course run by Chris has been an extremely important part of our Pastoral Care policy. He is a most enthusiastic, knowledgeable and supportive instructor who holds the attention of all our students over the two hour period. His message is clear and vital to the self awareness of our senior students. Our girls participate enthusiastically in all the self defence steps and finish tired but more confident and aware of the possible dangers around them. They are also much more fully informed about the processes involved to keep themselves out of harms way. He conducts each session in a practical manner that is fun for all students. A review From Lauren Bellman, Lurnea High School Sydney for Crossroads and Qigong. No 2 Schools or Colleges are alike. Contact us with your specific needs, we will be happy to dovetail and balance our program to suit your specific needs.